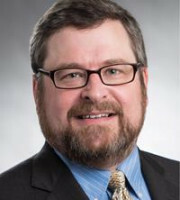 Kerry L Timbers is the co-chair of the Sunstein Kann Murphy & Timbers LLP litigation practice group. He has an extensive trial background in both jury and non-jury cases, and has argued before the US Court of Appeals for the Federal Circuit for clients in industries including life sciences, technology and consumer-orientated products. Mr Timbers has provided counsel in numerous patent interferences. A patent infringement trial returned a verdict in favour of his client, Exergen Corporation, for $14.6 million. Mr Timbers also has extensive experience in all aspects of trademark and copyright protection and litigation, representing nationally recognised firms in courts and before the USPTO and the TTAB. He has significant involvement in shaping and implementing strategies for the protection, licensing and enforcement of clients’ trademark portfolios. Mr Timbers is admitted to the Massachusetts Bar, as well as the Bars for the US Courts of Appeals for the First, Fourth and Federal Circuits and the US district courts in Massachusetts, Connecticut, Colorado, the Eastern District of Wisconsin and the Eastern District of Texas. He is a member of the Boston Bar Association (BBA) and has been co-chair of the BBA IP Litigation Committee and co-chair of the BBA International IP Law Committee. He is also a member of the Boston Patent Law Association, the American Intellectual Property Law Association and INTA, and is a master in the Boston IP American Inn of Court. Mr Timbers has been named in the Best Lawyers in America 2016-2019 list and in the Super Lawyers® list in the practice area of IP litigation from 2004 to 2018 in Massachusetts. In 2018 he was also named one of the Top 100 Attorneys in Super Lawyers’ New England list. The attorneys featured in Super Lawyers were selected by their peers in an extensive polling process conducted by Super Lawyers, a service of Thomson Reuters.